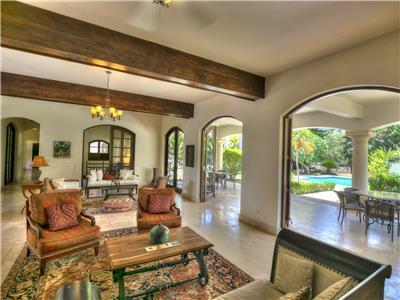 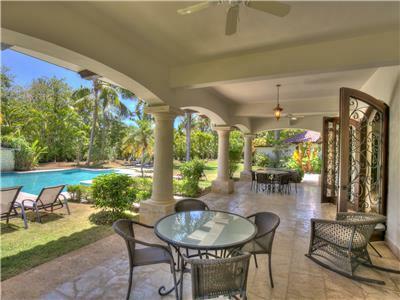 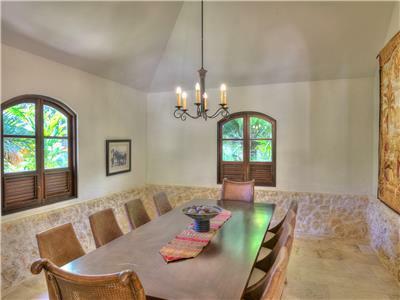 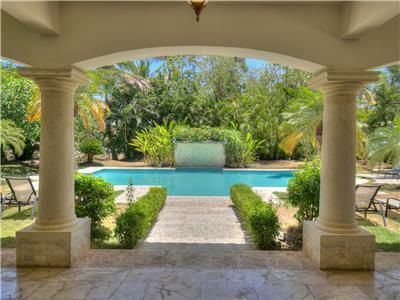 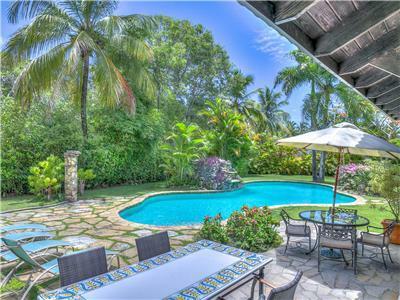 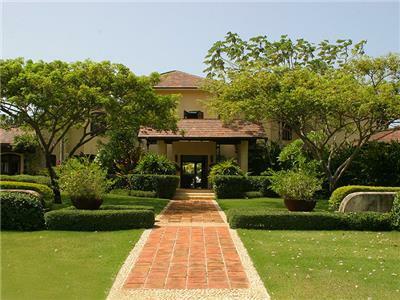 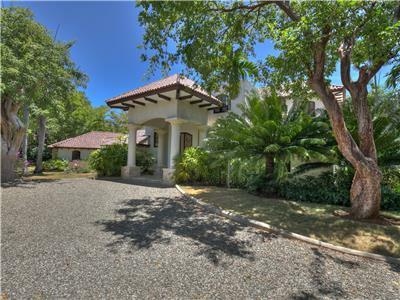 Tuscan inspired architecture blends perfectly with Caribbean elegance with cream marble floors and baths and a large ample terrace for al fresco dining and entertaining. 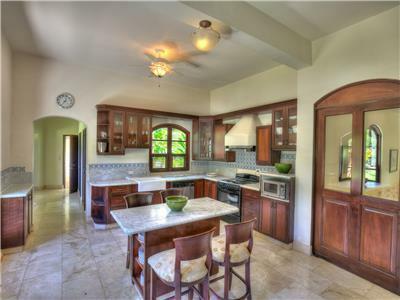 The gourmet kitchen, with blue vein marble and hard wood, is a dream for entertainers. 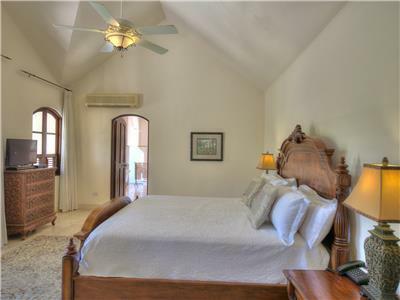 Three bedrooms on the second floor, one with a king, one with a queen and the third with two twins. 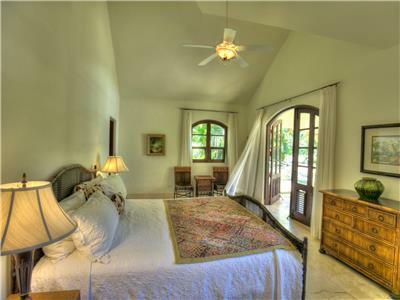 Two guest suites are on the ground floor, one with a king size bed and one with a queen bed. 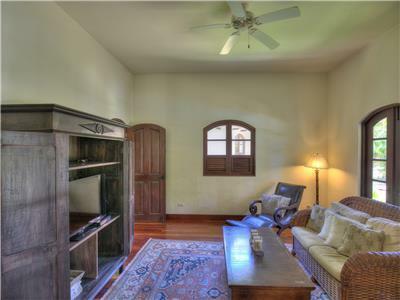 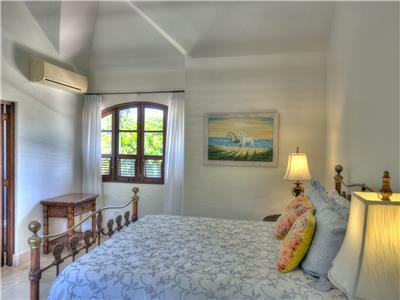 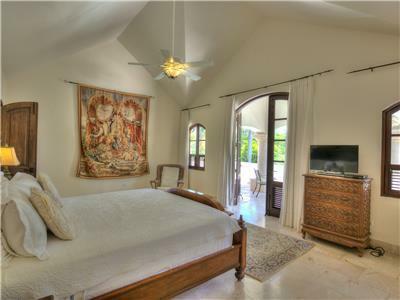 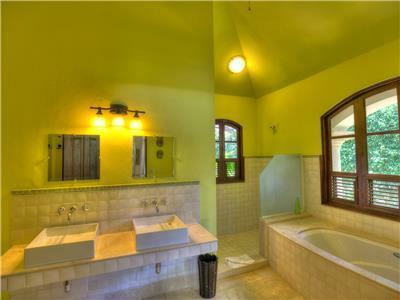 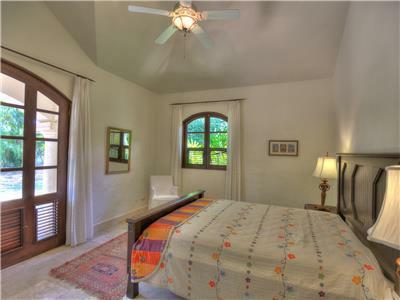 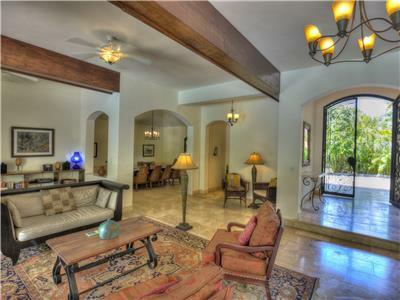 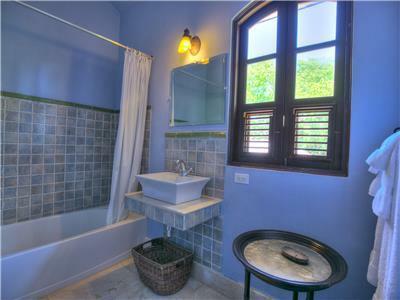 This villa is perfect for 2 families to enjoy two master bedrooms and vacation together with ample privacy. 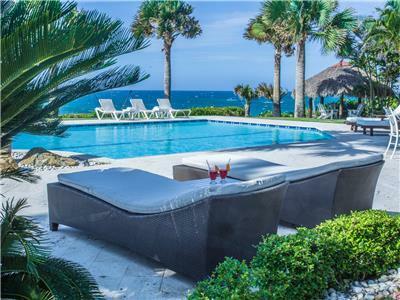 Guests love the top notch detailing like the wrought iron work, luxurious bathrooms, meticulously chosen furnishings and fixtures, large classic lap pool and cascade. 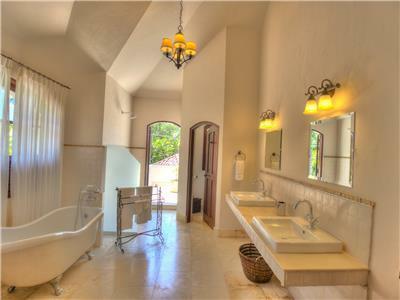 Just seconds away from El Bosque restaurant, the beaches and the seaside pools, villa Mediterranea promises luxury, fun and turquoise sea views.